Every year we form JJB teams for players in year 2 and 3 at school to play in the JJB Tournament during the winter time. Regulars of WFA are invited to join the teams to play against other clubs and academies from around Manchester every other week during October to February which takes their game to the next level. They enjoy playing competitive matches and test themselves outside their usual comfort zone. 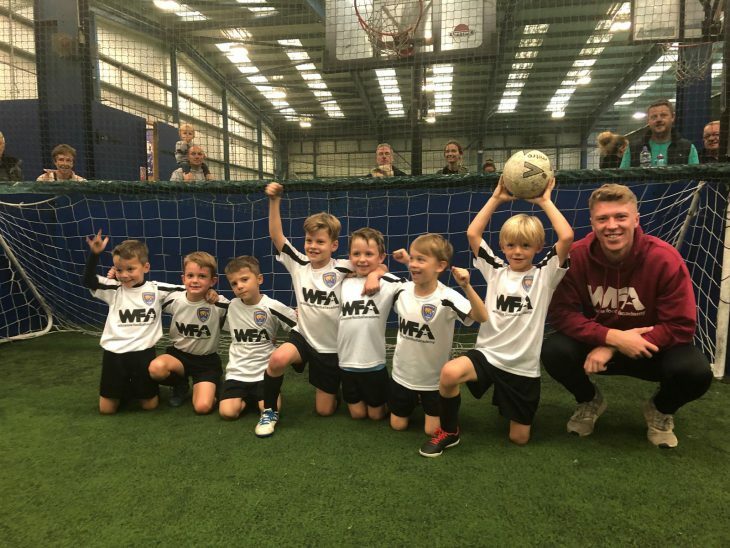 The U7’s teams have a special training night of their own on a Wednesday evening from 5.30 to 6.30pm and 6.30 at Wilmslow Phoenix Sports Club, Styal Road, Wilmslow SK9 4HP where they train with their team mates. The year 3’s train at the same venue on a Tuesday night from 5.30 to 6.30 and 6.30 to 7.30pm. These sessions are open to any u7’s and u8’s regardless of whether they are in one of teams or not.